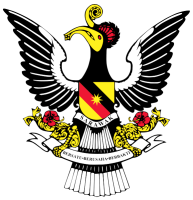 “All the APOC 13 competitions will be held at the Borneo Convention Centre Kuching (BCCK). Participation for all competitions is free. 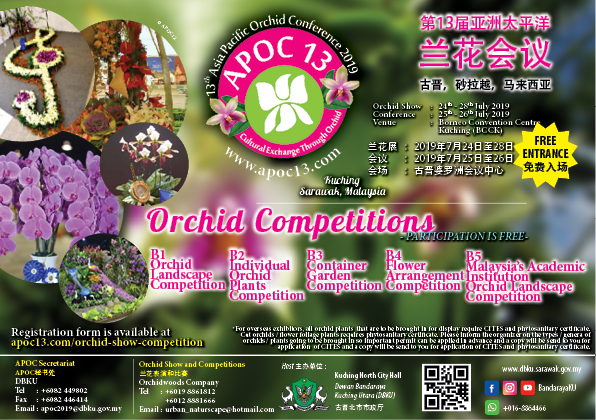 For overseas exhibitors, all orchid plants that are to be brought in for display require CITES and phytosanitary certificate. Cut orchids / flowers foliage plants require phytosanitary certificate. Please inform the organiser on the types / genera of orchids / plants to be brought in so that important permit can be applied in advance and a copy will be send to you for application of CITES and phytosanitary certificate.